Let our experience be your gain! Before you plant that first fencepost or dig the footer for your new alpaca barn - give us a call. 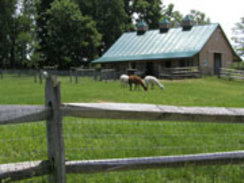 We'd be happy to spend time with you discussing the intricacies of good barn design and pasture layout. How will I access each pasture? Where will we put the manure pile? Does the barn have access to fresh water? How many animals can I accommodate? 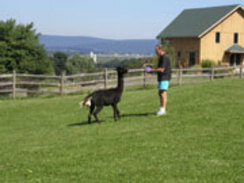 Which types of plants can be toxic or lethal to an alpaca? Are there predator animals in my area? What type of fencing is best for my area? 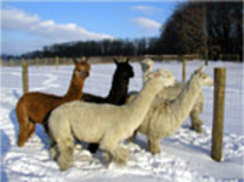 Is there a veterinarian in my area who is familiar with camelids? How do I approach my local zoning board? 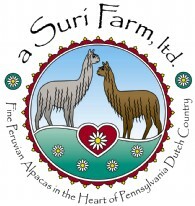 We believe that it is of benefit to the entire alpaca industry to be helpful to new farmers just getting into the business. Whether you purchase your foundation herd from us or from another breeder, we'd be willing to consult with you to ensure the excellent care for your animals at your farm that we give to our animals at a Suri Farm.